The Pretenders announced a new studio album titled Alone will be released October 21st. Chrissie Hynde is the sole remaining original member of the Pretenders; she initially intended for the songs to be used for a new solo record, but as progress was made in the studio she determined it deserved to be Pretenders release. Dan Auerbach of the Black Keys produced and plays on Alone; other personnel include Dave Roe and Kenny Vaughan along with Auerbach's bandmates from the Arcs - Richard Swift, Leon Michels, and Russ Pahl. Stream a new song from the album "Holy Commotion" below and pre-order Alone from iTunes, Amazon, or the band's webstore. 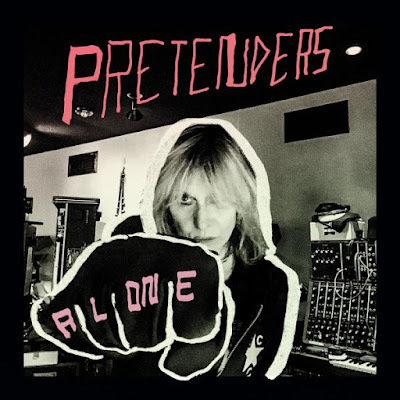 The Pretenders announced dates for a North American tour earlier this week -- the band will be the opening act on Stevie Nicks' upcoming arena tour. Tickets for the November 27th show at the Palace go on sale Monday, September 12th. Pre-sales are going on now.